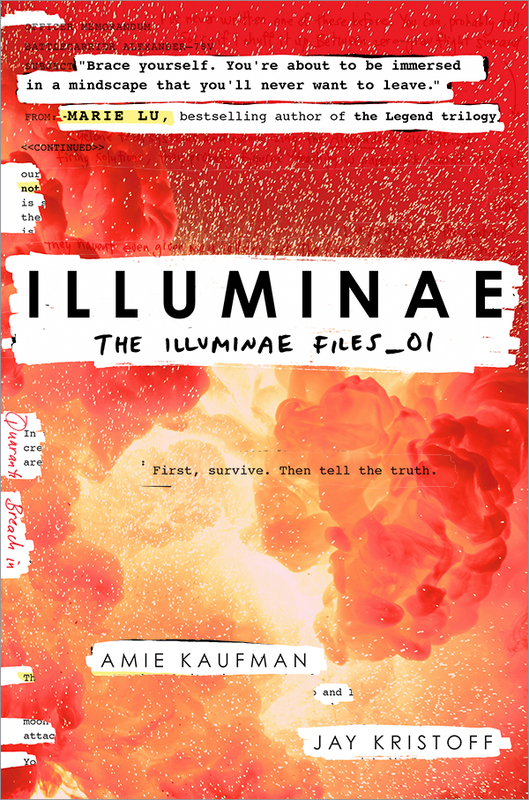 I’ll open with a spoiler-free (tl;dr) summary of my feelings about the book and then go into more detail (potential for some minor spoiling therein). I enjoyed the book. I rated it on Goodreads, and although it deserves more than 3 stars, I don’t think I can give it 4. I particularly enjoyed the way it challenged and questioned enculturated values. I liked how Cole managed the powers and his action scenes were kinetic and visceral. As a writer I learnt a lot from the way he brought the genres together, forced a collision and made something new from what was there. I will read the others in the series, and happily recommend the book to fans of comic book superheroes, military fiction and urban fantasy. 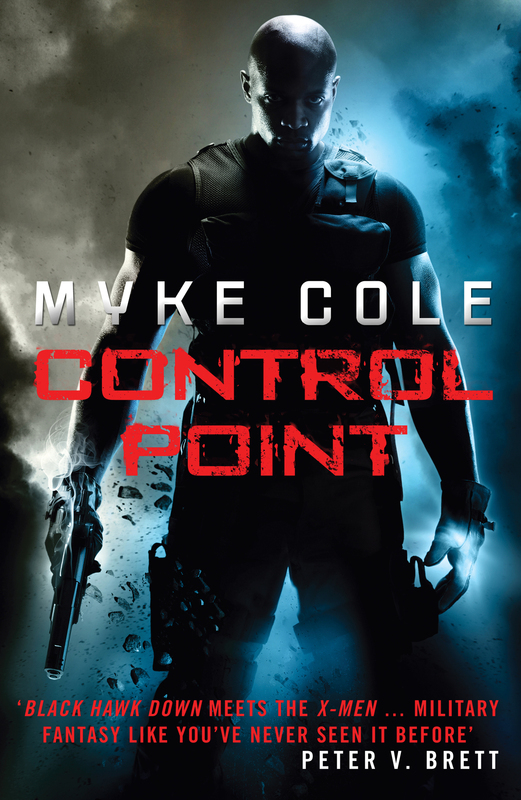 Control Point is the debut novel of Myke Cole, and the first in a series of “Shadow Ops” novels (of which there are three, with a prequel due out next year). I picked it up because I came to know of Myke Cole through his blog, and through Twitter (@MykeCole). He’s one of those authors who is incredibly interesting when they talk about how they came to be writers and what writing means to them. 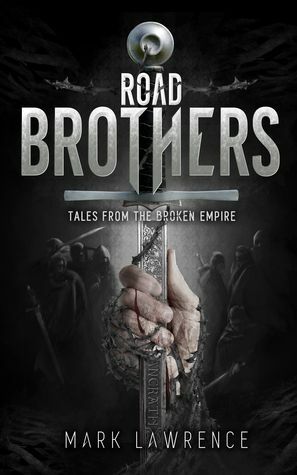 He offers advice and engages with his fan-base, and his books were recommended or enjoyed by others I trust, and had a good cross-over with other authors whose work I’d enjoyed (Mark Lawrence’s review is here: https://www.goodreads.com/review/show/246427711?book_show_action=true&page=1). Cole is a US Military vet, having served in Iraq, and is currently a member of the US Coast Guard. It’s not a common résumé for Fantasy writers, and the world he has created is not common Fantasy. It has been described as a cross between ‘Black Hawk Down’ and ‘X-Men’ (by no less a reliable source than Peter V Brett), and you can definitely see the way that the influences of his professional militarism meet his personal geekdoms, with influences apparent from the battlefield, to superhero comics to D&D. In an unspecified near-future USA there has been an awakening of previously latent powers. People have discovered that they can control elements, or – in rarer cases – exhibit other ‘magical’ powers. This awakening is quickly legislated and the military steps in to attempt control. Oscar Britton begins the novel as a military man charged with controlling (or killing) the awakened latents (selfers), but he sympathises with those he must hunt. When he exhibits powers himself he is faced with an impossible choice, to submit, or to flee. Cole’s greatest strength is in his world-building. On gross structure this is familiar from any number of superhero origins, but it is in the minutiae that Cole’s world takes shape. Each chapter presents excerpts of speeches, legislation, media, etc from this new world which gives us a better insight into how society has sought to adjust. From this we can hold a mirror to modern cultures. The novel forces us to ask how we balance liberties against regulation, how we respond to de-centralised terrorism, how existing cultural and religious world-views have adapted – some better than others. The heavy-handed government control of the US is more criticised than endorsed. Cole takes an interest in the fictional indigenous of his magical source-world, and his understanding of Islamic and Native American cultures adds nuance and depth to what might otherwise have been a one-dimensional speculation. That our protagonist finds himself more often opposing than endorsing his government’s militarist approach is particularly interesting, given Cole’s own history. If anything this is overplayed. The gung-ho militarists are obvious antagonists. Unfortunately Britton – our protagonist in this world, from whose perspective it is shown to us and to whose internal monologues we have access – is often a confused and confusing moral compass. Perhaps this puts the need to moralise back on the reader, something with which I am generally more comfortable, and yet the character suffers because of this uncertainty. From the beginning, when teenaged selfers are attacking their school, Britton sides with them over his command structures. This jarred me, as a reader, because the actions of the selfers were unsympathetic – they obviously needed to be stopped. The pacing is rapid, the novel quite heavily plot-driven. This can mean that the prose is stark and direct, sometimes to the extent that it felt lacking. I think this is a necessary quality of the prose for the story being told, and this was a debut novel, but it makes no claims to high literature. This is fast-moving pulp and should be enjoyed as such. Similarly, most characters are to be taken on face value, and while some show development and growth many others come into the narrative, serve their purpose, and depart the stage. Many remain archetypes or sketches throughout, and while this is a criticism, I think it’s one that flows inevitably from keeping the plot moving quickly. The character I found most sympathetic was the indig ‘Marty’, and he becomes a key motivation for the protagonist, as well as a key player himself in the build to the climax. Too often I confused characters, or forgot their names, or forgot which call-sign went with which name, etc. In large part this is my failing, but it also suggests perhaps that many of the secondary characters weren’t memorable beyond being a super-power in a uniform. For Military/Fantasy/Sci-Fi with fast-paced action and a 2nd world twist this is a good series to get into.